The Give away - Waiting for Easter is finished. The interest was close to zero. Might be the question I have asked was hard to answer or the pattern is not so attractive. Anyway it is time for gift. Two participants - two winners. I decided they both have to win. Barbara and Lisa, check your e-mails. I would be happy if you send me pictures of your finished quilts. All began from my morning walk through Pinterest. 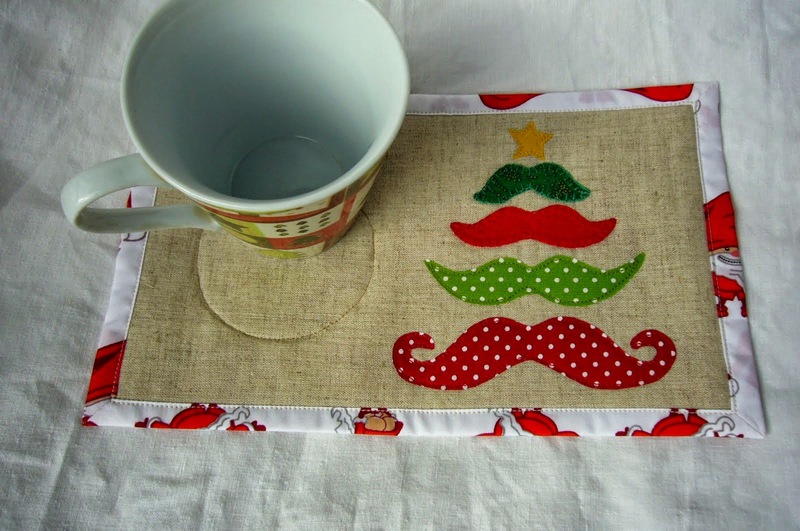 Look at this lovely mug rug. I always love wonky and not so even strips, but this is gourgeous. Easter is round the corner.And mine turned out in this one. I will show some useful hints. Cut some strips or simply collect scraps and 1" black square. 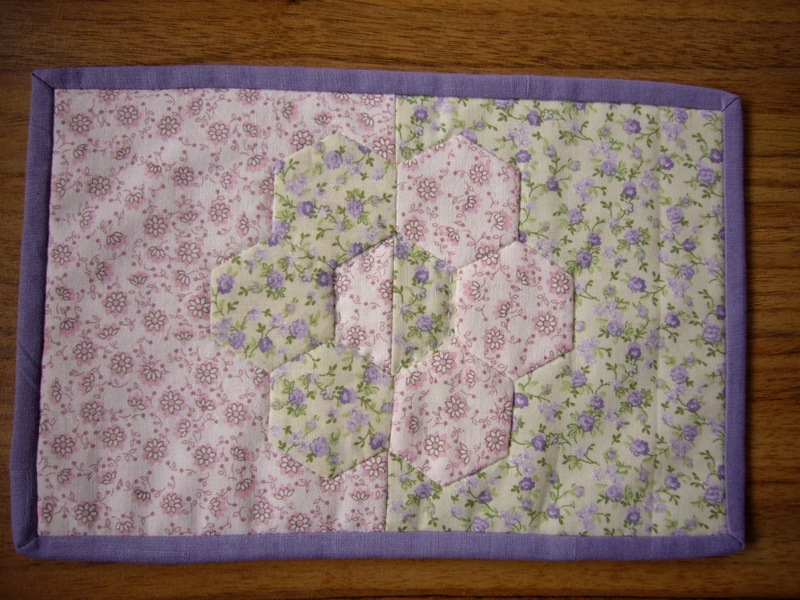 Start sewing Log cabin block with a black center. Don't worry about uneven stripes. When you made two rounds continue adding strips at two neighbouring sides. The black square will become an eye. The block has no square shape. It is about 7" x 8". If want trim it to a square. Step 2. Preparing bill and tail. They are made as usual prairie point. Get a 4" square of fabric. I have made mine from 4" strip, but it is the same in fact. 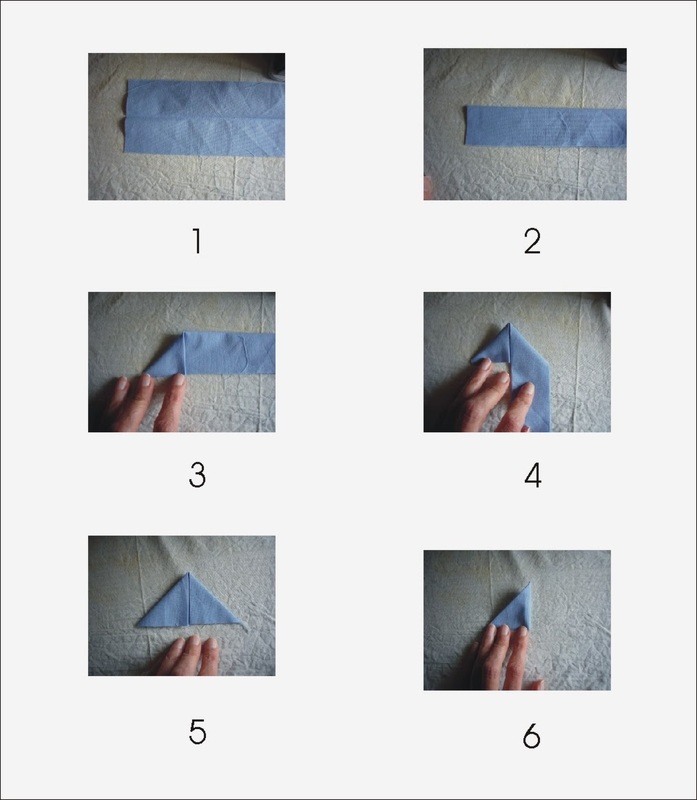 Fold it in half wrong sides together and press. See the process bellow. I have made the bill from smaller square - 3". Step 3. Assembling the coaster and finishing. Cut the batting and backing according the top. Place prepared bill and tail on the backing, pin and stitch. Stitch leaving 2 inch opening for turning over. Backstitch at the beginning and finishing. Clip the corners and turn over. 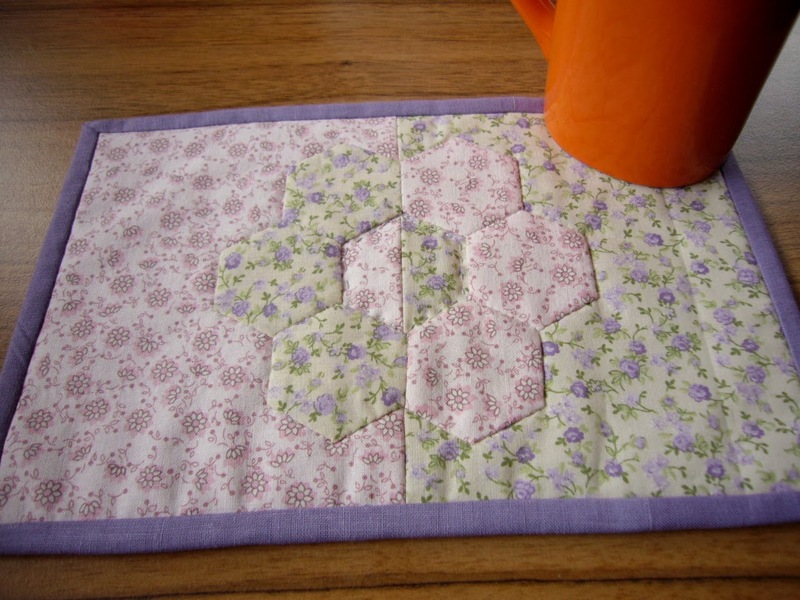 Iron well, stitch the opening and quilt (embellish) as desire. Oh, prepare a cup of coffee. Feel free to cut and collect strips as you like. If prefer to have a foundation paper - get the pattern from CRAFTSY or ETSY. TWO days left till closing Giveaway for Easter Chicken. Get a chance to win a FREE pattern. What I have found in a drawer of an old Singer? The sewing machine came to me as a gift from a friend emigrated from my country many years ago. He understood I am interested in quilting and sewing. The first time I have celebrated this day was some years ago and by chance I visited an Irish pub in my country. It was funny to have a chat with friends. Today I have another reason to celebrate - first sale of the Tesselating Chicken Paper pieced pattern. I want to remind about the Give away I have offered a week ago. Don't forget to leave a comment till 29th of March and have a chance to win FREE pattern. Tessellating Chicken Paper pieced Quilt. Tessellation is the process of creating a two-dimensional plane using the repetition of a geometric shape with no overlaps and no gaps. It is like a puzzle. This is my second tessellating pattern. The first one is with arrows. 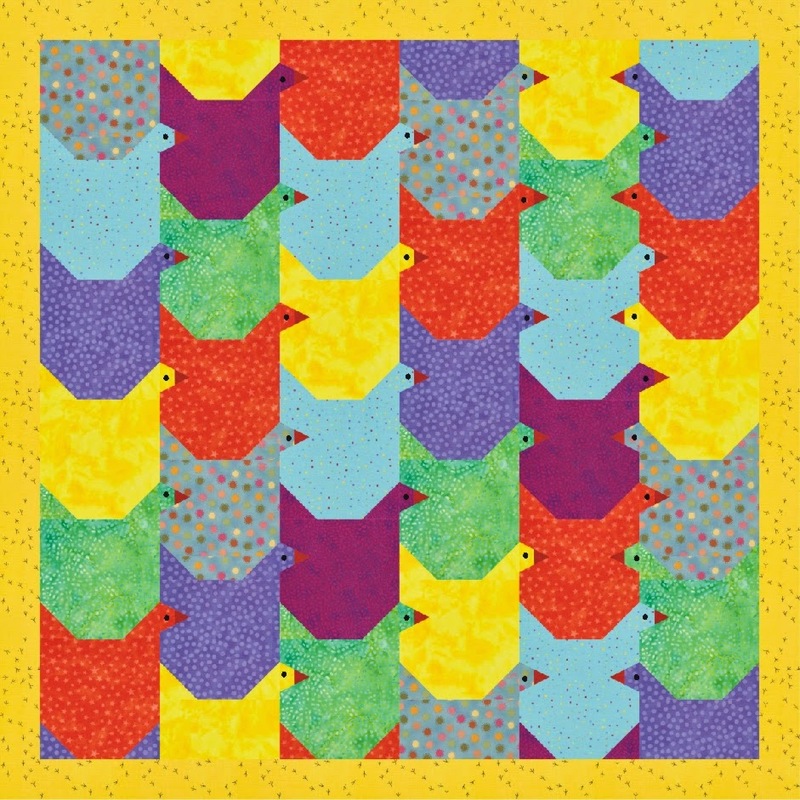 The PDF Tessellating Chicken quilt pattern contains 15 pages complete step by step instructions and fabric yardage needed for 40" quilt. The giveaway is running from 9 th March to 29th March 2014. What do you think about quilting software? Do you use any? If not would you learn a software if someone makes a gift for you? I will close Giveaway on 29th March 2014 and will announce the winner (chosen by Random generator) here on my blog and by e-mail no later than April 1. The pattern is available on CRAFTSY and ETSY . P.S. I will refund money in case you win this giveaway. A little sunshine outside made yesterday a very pleasant day. I have made a mug rug which had lived in my mind so long. I have chosen small flowers printed fabrics in pastel gamma. It is easy to made. Patterns are as usual on CRAFTSY and ETSY. My coffee this morning was so delightful. Do you wander why? Try to guess. A special blend of coffee beans, a warm company or other reason. It is my new mug rug. What a beauty! 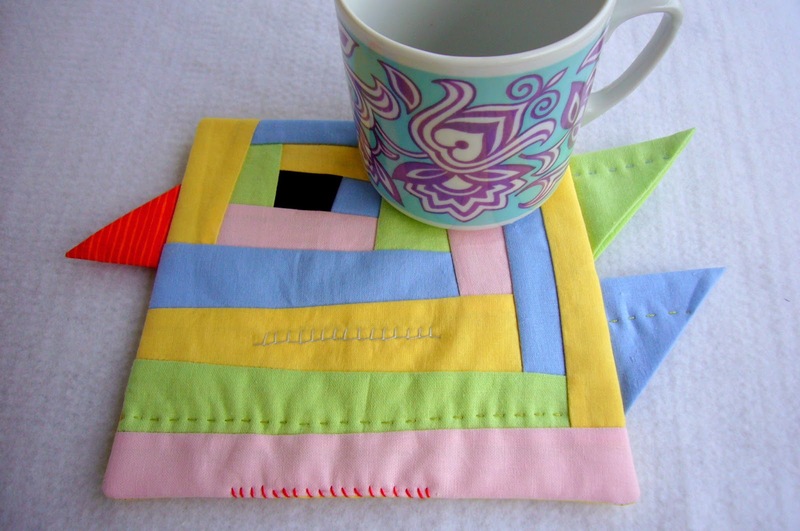 I have received two mug rugs from the swap I have written about here on 1 of February. I hug them, I dance with them. I took an all-round view of them. 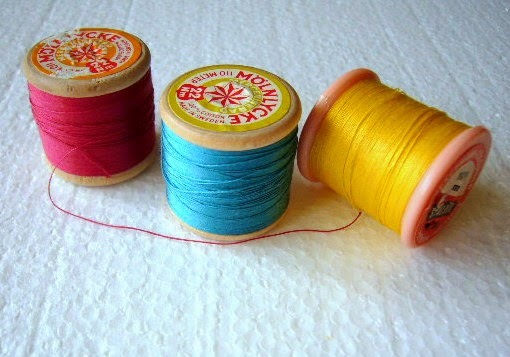 Fabrics, colors, stitching, applique - all is wonderful. A huge thanks to Elisa from Dilana&Dilino, who is my partner in this swap. I haven't any special requirements about color, but they fit perfect fir my living room which is in grey blue beige and orange. Look at this clever idea for the dove's bill. It is from felt and is fixed only at the base. Another interesting idea is to show different type of how to end binding. 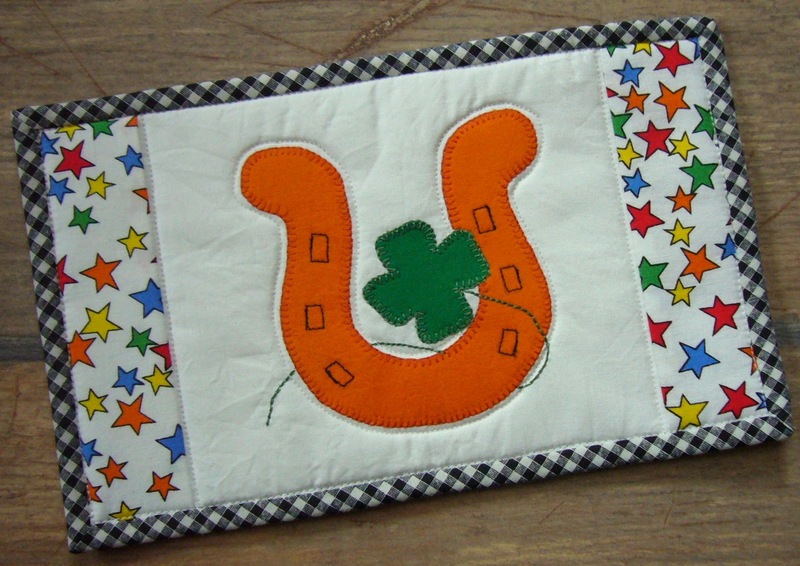 And last, but not least different methods for applique. So this swap was a kind of tutorial, don't you think?